Joseph Jenkins, Prof. Gail Taylor, Dr. Rich Edwards. 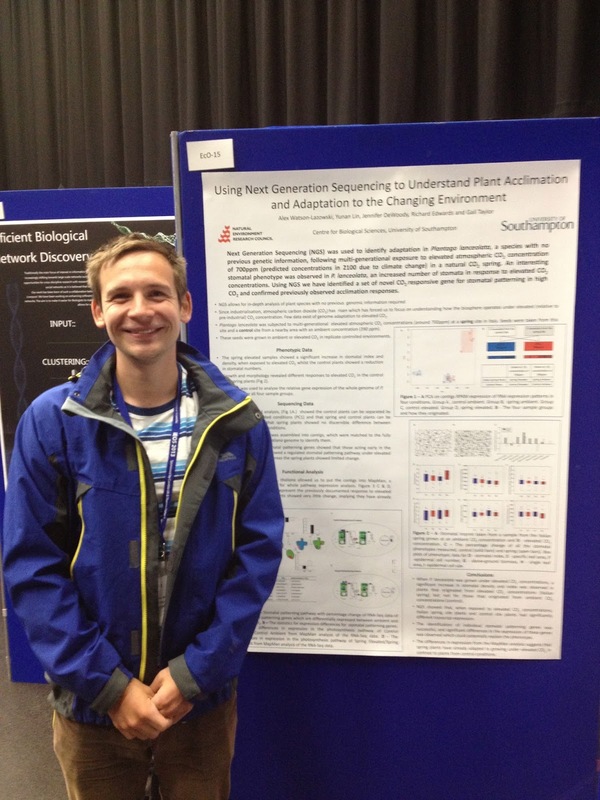 1st International Environmental Omics Synthesis (iEOS) Conference, Cardiff, UK (Sept 11-13, 2013). Poster CE-3. Soil microbes are responsible for the function of biogeochemical cycles, which are essential to maintain soil quality. Anthropogenic climate change is resulting in variation of the soil habitat, through alteration of a multitude of soil variables. In particular, prevalence of drought and use of geoengineering methods to sequester carbon (such as biochar) are expected to increase. To test the implications of drought and biochar amendment in soil habitats, soil samples were collected from two long term experimental sites, and shotgun metagenomic sequencing undertaken to determine changes in soil microbial diversity. Furthermore, analysis of the method itself will be undertaken to determine potential issues with the technique, and to improve the methodology for future studies. Future work will attempt to compare results of shotgun and amplicon metagenomic methods, and sequencing of additional biochar treated samples from a range of European sites undertaken. This will provide a means to compare changes in microbial diversity after biochar incorporation under a variety of field conditions, providing insight into its likely effects for soil microbial ecology. Alex Watson-Lazowski, Yunan Lin, Jennifer DeWoody, Richard Edwards and Gail Taylor. 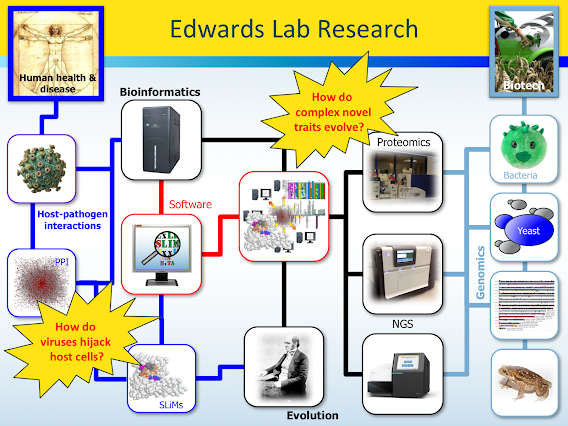 1st International Environmental Omics Synthesis (iEOS) Conference, Cardiff, UK (Sept 11-13, 2013). Poster EcO-15. Plant adaptation to elevated atmospheric carbon dioxide (CO2) is of great interest, as the concentration of this gas in the atmosphere has risen by more than 30% to 388 μmol mol-1 since the industrial revolution. On average there has been a rise of 3 ppm per year. Plant fossil samples suggest that atmospheric CO2 may be acting as a selective agent driving evolution, but limited evidence is available to support this idea for plants subjected to future predicted concentrations. Studying evolutionary responses to this aspect of environmental change is difficult, but here we use a CO2 spring site where plants have been exposed for multiple generations to concentrations of CO2 predicted for 2050. From this, detailed phenotyping data was collected, including data for stomatal patterning. Considerable evidence exists to show that stomatal numbers have declined across geological time and that this is linked to CO2 concentration, but few CO2-sensitive stomatal patterning genes have ever been identified. When grown under elevated CO2 concentrations P. lanceolata (the narrow leaf plantain), seeds collected from the spring site showed a counter-intuitive change in stomatal index and density. Here, in this non- model plant we have investigated the gene expression changes underlying this stomatal patterning response to elevated CO2. RNA-Seq allows for in depth analysis of plant species with no previous information required, enabling rapid evaluation of any of novel plant acclimations and adaptions. Using this approach we have identified a set of novel genes for stomatal patterning in high CO2 and confirmed previously observed acclimation responses. RNA-Seq refers to the use of high-throughput deep-sequencing technologies to sequence cDNA in order to get information about the transcriptome of a given biological sample. 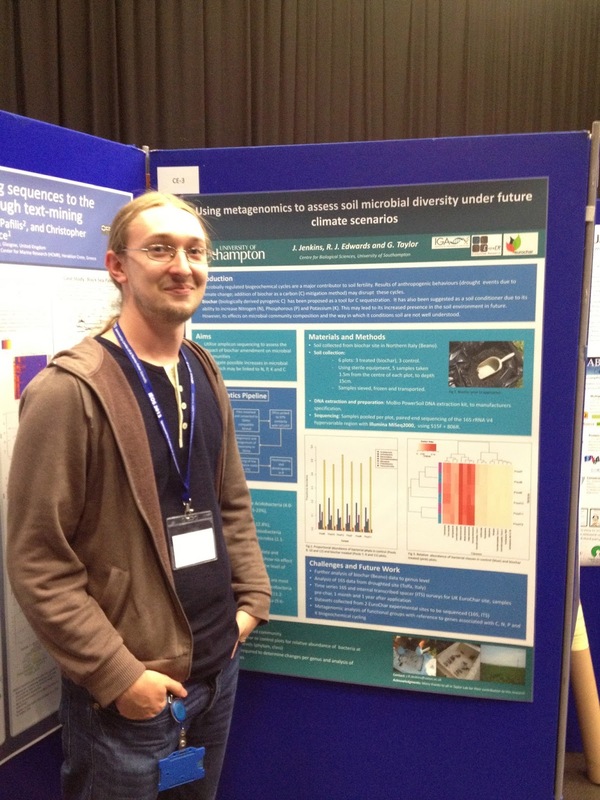 The lab has a couple of posters at the 1st International Environmental Omics Synthesis (iEOS) Conference conference in Cardiff this week (Sept 11-13), so come and say hello to Joe and/or Alex if you are in Cardiff. Alex Watson-Lazowski, Yunan Lin, Jennifer DeWoody, Richard Edwards and Gail Taylor. Centre for Biological Sciences, University of Southampton. Joseph Jenkins, Prof. Gail Taylor, Dr. Rich Edwards. 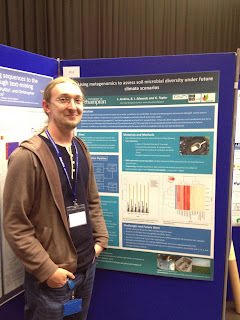 University of Southampton, ExpeER, EuroChar.